Sun-dappled sidewalks in conjunction with peaceful, serene neighborhoods, a vibrant art, culture, academic and sports scene are standard amenities for those considering life in Washtenaw County, Michigan. The idyllic, relatively small suburban and rural communities, as well as the picturesque countryside that make up Washtenaw County, contain a residential population that was 344,791 in 2012, according to Sperling's Best Places. More than 113,900 of these people live in its county seat of Ann Arbor. The number of denizens inside the county's 721 square miles has grown by nearly 7 percent since the year 2000. Most of the county's residents live within a 60-mile drive from downtown Detroit, the state's largest metropolitan area. This make the condos for sale in Washtenaw County ideal not only for commuters, but also for anyone seeking life just off the fast lane, but close enough to enjoy it when the mood strikes. Condos for sale in Washtenaw County come in as many makes and models as the vehicles produced in nearby Motown. 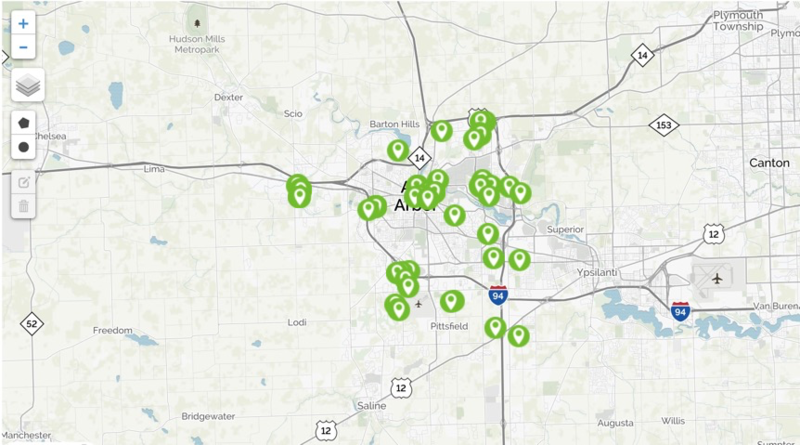 Here you will find everything from high-rise units in Ann Arbor, to detached and attached units in outer-ring suburban and rural areas, like Pittsfield Township and Dexter Village. These condominiums also have numerous inherent amenities, such as close proximity to the Huron River and its Chain of Lakes area, as well as world class higher education institutes. Such higher learning facilities include the University of Michigan (in Ann Arbor), Eastern Michigan University (in Ypsilanti), Washtenaw Community College (in Ann Arbor) and Thomas M. Cooley Law School (in Ann Arbor). Click here to Request more Information.